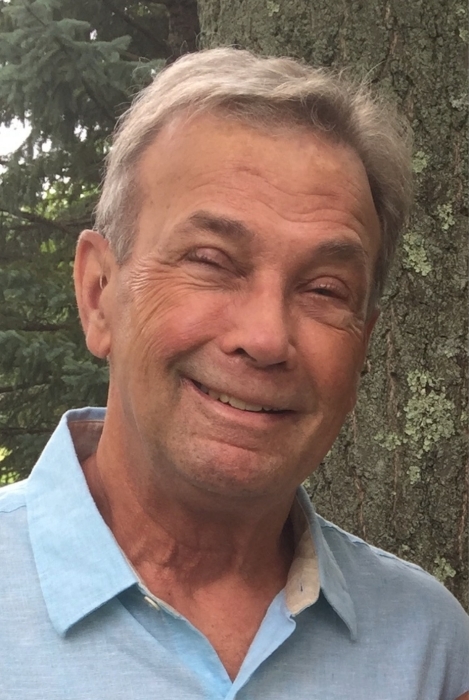 David L. Spangler, age 70, resident of Shelby died Sunday January 13, 2019 at the Willows in Willard. Born September 15, 1948 to David Dean and Carolyn (Lash) Spangler he had been a Shelby resident the majority of his life. Dave served eight years with the Air National Guard during the Vietnam War. He received his Bachelors Degree in Early Childhood Education from The Ohio State University. He was a 5th grade teacher in the Shelby School system for 38 years, spending the majority of his years working at Auburn Elementary school and finishing out his last few years at Central Elementary. Dave’s teaching strengths were his diligent preparation skills along with a tireless work ethic. His focus was always on his students and his relationships with them. His family proudly remembers the countless times they were told "Mr. Spangler was my favorite teacher ever!" Dave led the Olympics of the Mind for Gifted and Talented students in local and nationwide competitions. He served on several school committees, and even during his retirement served on the Shelby City Schools Levy campaign committee. During the summers, he worked at the Shelby Schools helping in the maintenance department. After being diagnosed in 2006 with cancer, Dave became a strong advocate of the LiveStrong Foundation. He along with his great friend, Jack Gray, co-chaired the local chapter and held numerous LiveStrong Rallies in Shelby. He later transitioned into a Pelotonia "Virtual Rider" for team CTCL. All funding generated went to research at the James Cancer Hospital. Dave will also be remembered for the "Holiday Hustle" 5K, which was first organized by his cousins Lynne Argo and Karen Swank. After the inaugural Holiday Hustle, Dave jumped on board to help lead future "Holiday Hustle" races according to his mantra of "paying-it-forward". Each year, the proceeds were donated to help a family touched by cancer. Dave was a proud member of the Shelby Foundation where he served for many years. Also, he was honored to be an inductee into the Shelby Hall of Distinction. However, Dave's greatest passion was dedication and love towards his family. He loved nothing more than supporting his grandchildren in their activities. Surviving are his wife Linda (Thurman) Spangler; one daughter Kellie (Tony) Seibert of Shelby; one son Kyle (Courtney) Spangler of New Albany; seven grandchildren, Sydnie, Mya and Kerryn Seibert, Kinsey, Junie, Beau David and Clayton Dean Spangler; two sisters Becky (Pudge) Hamman of Shelby, Nancy (Danny) Cains of Mansfield; brother-in-law Ed (Jenny) Thurman of Shelby, two sister-in-laws Diane Thurman of Mansfield and Eileen Sullivan of Beavercreek, OH; numerous nieces, nephews, aunts, and other relatives. In addition to his parents, he was preceded in death by two brother-in-laws Donald and Charlie Thurman and mother and father-in-law Pete and Beulah Thurman. Funeral services will be held 11:00 AM Thursday January 17, 2019 at the Barkdull Funeral Home and Crematory in Shelby. Reverend Dr. Joel Hunter will officiate with interment in Oakland Cemetery. Friends may call at the funeral home Wednesday from 4:00 to 7:00 PM. In lieu of flowers memorial expressions may be made to the Shelby Athletic Boosters, mail to: Shelby Athletic Boosters c/o Cathy Dodge, 145 Mansfield Ave. Apt. 7, Shelby, OH. 44875 and the Shelby Foundation, 142 N. Gamble St. Suite F, Shelby, OH. 44875 or online at www.theshelbyfoundation.